Go to the SITE INFO tool in the Tool Menu. 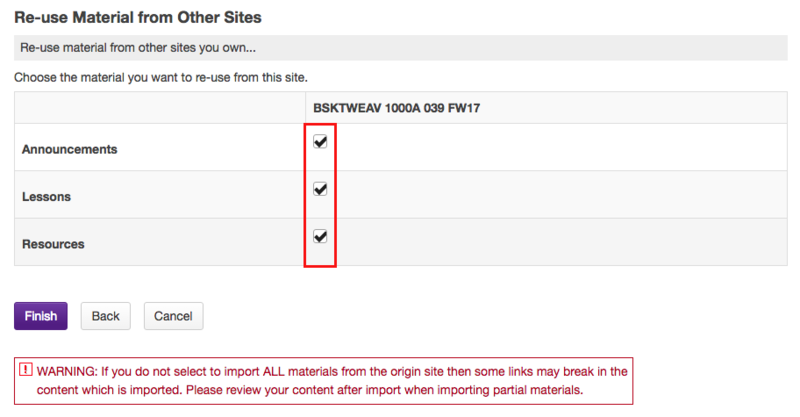 Click the Import from Site button. Note: If you have existing content that you do not want to overwrite, or if you do not want to import Gradebook settings, you could choose the "merge my data" link instead. Select the course you want to copy from and click Continue.